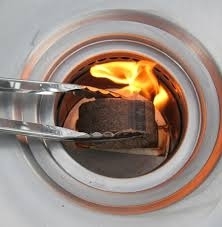 SilverFire Introduces the Wood Fired Fan Grill! 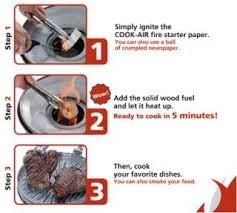 Cook a steak in just a couple of minutes with a single simple block of wood or construction debris! 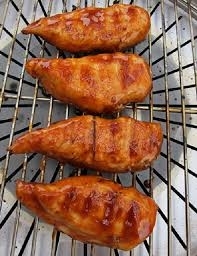 Meals grilled with a single piece of wood, just 2'" wide x 3" long! 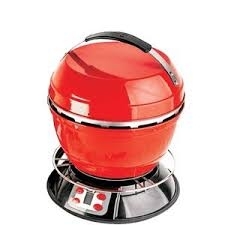 This grill is miserly with fuel, ultra hot & ultra fast! 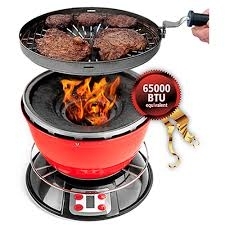 The fan runs the grill like a hot forge, quickly searing foods. Like our Super Dragon, the fan is powered with a small solar panel, 0r 12 volt DC adaptor, the AC adaptor, or use # 4 D cell flashlight batteries (3 options to power the fan). The fan has 5 settings and only draws 3 to 10 watts power. 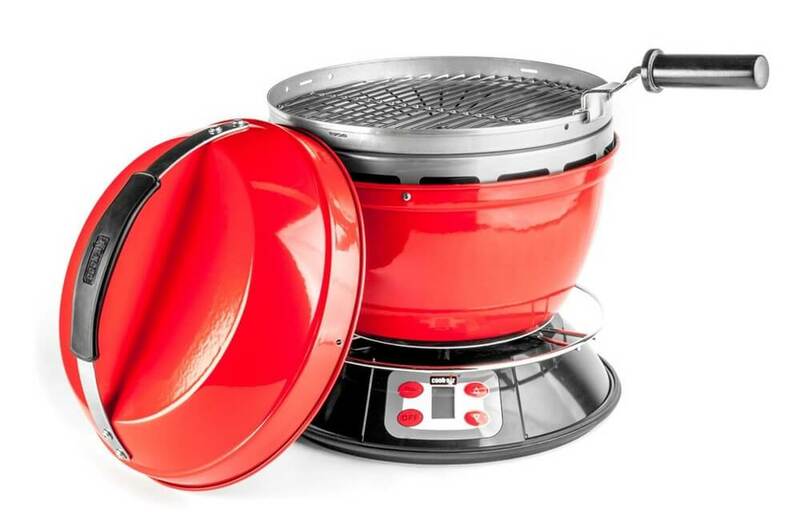 The portable Wood Fired Fan Grill weighs only 16 lbs. 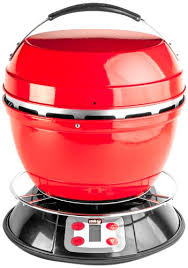 The combustion chamber reaches up to 1100 degrees Fahrenheit / 593.33 Celsius (3 times hotter than most grills). 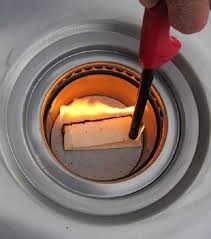 Seared steaks require high heat, approximately 800 degrees! 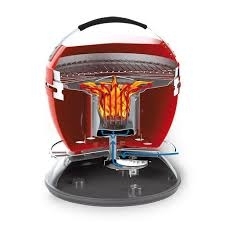 This is the most efficient grill available Today to sear steaks correctly with less fuel than any other grill on the planet! 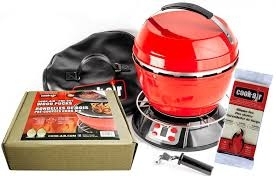 14" cooking grid, Blower system makes the Cook-Air Grill ready to cook in less than 5 minutes, no waiting charcoal to get established or charcoal taste.